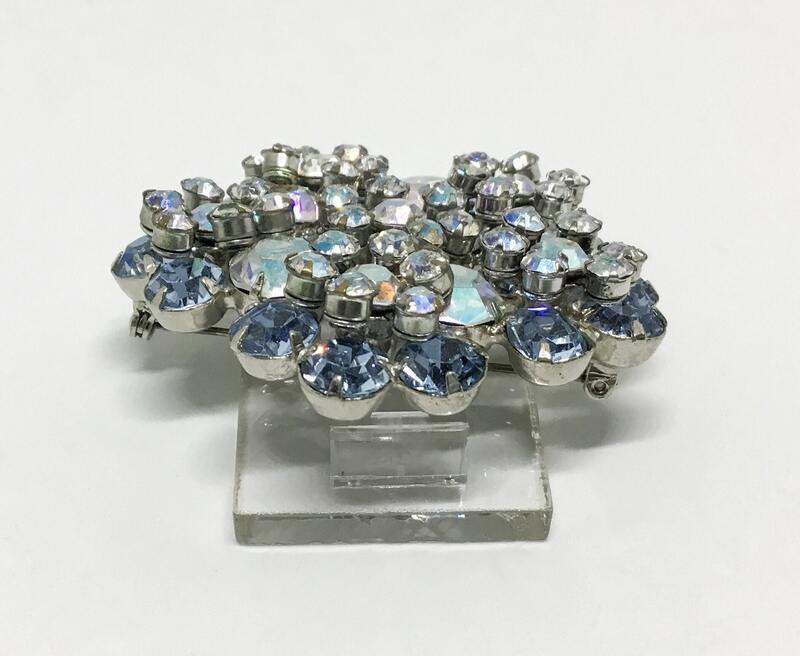 This is a breathtakingly fabulous vintage verified D &E rhinestone brooch. 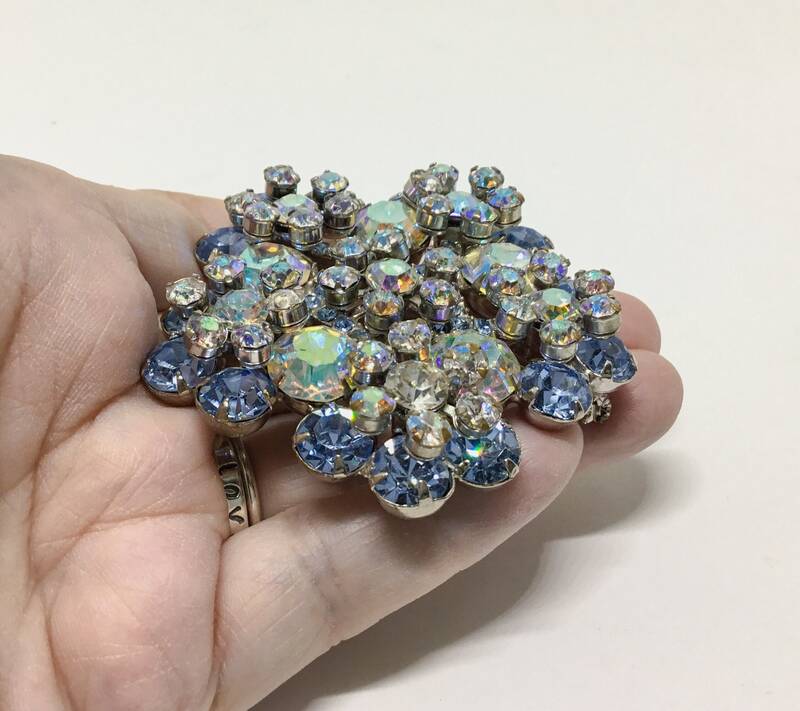 This large layered piece is made up of rainbow Aurora Borealis rhinestones and light blue chatons. The top layer has a center flower/rosette with five more around the outside. 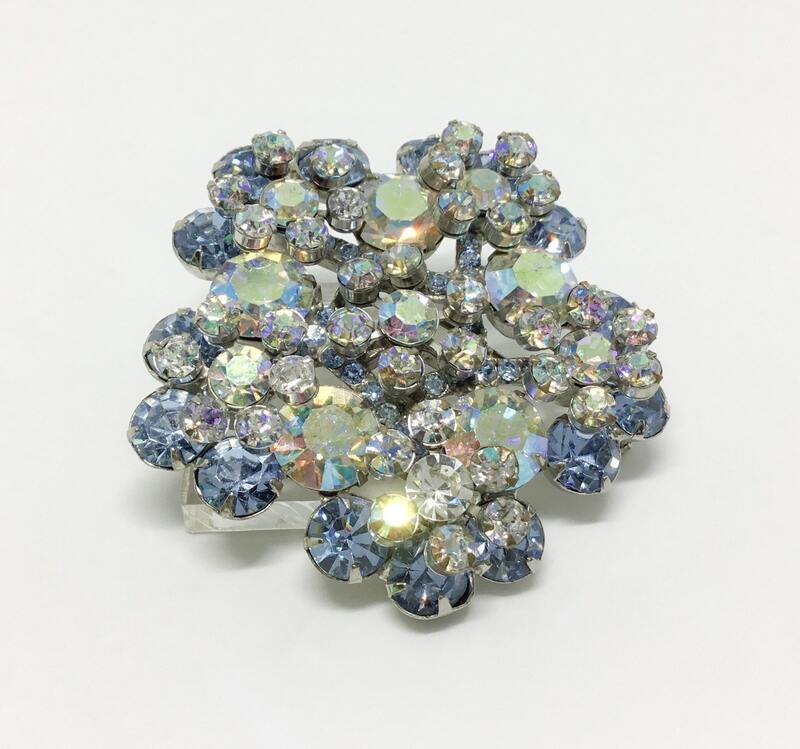 The bottom layer is light blue chaton rhinestones around the bottom of each flower. 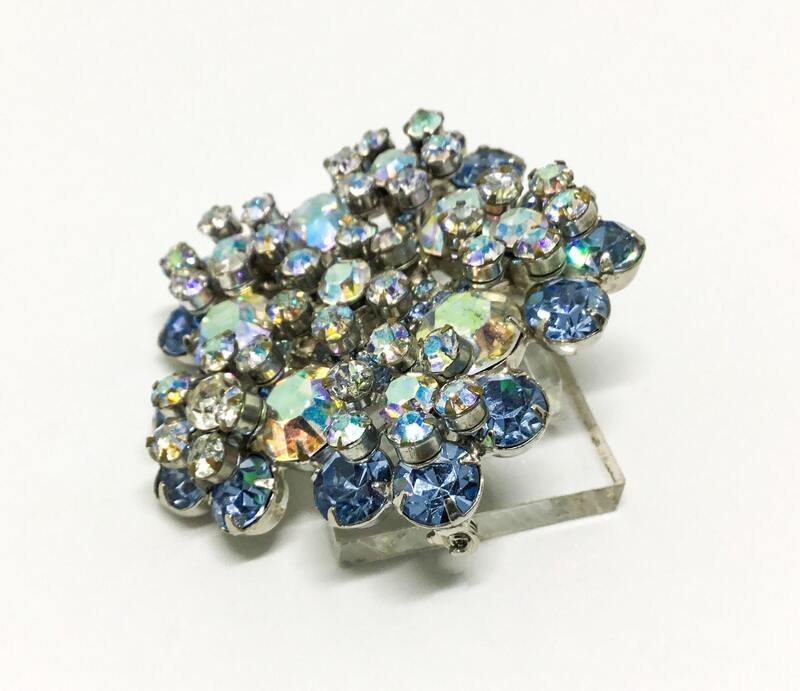 All of the rhinestones are present, faceted, prong set and have amazing clarity and sparkle. 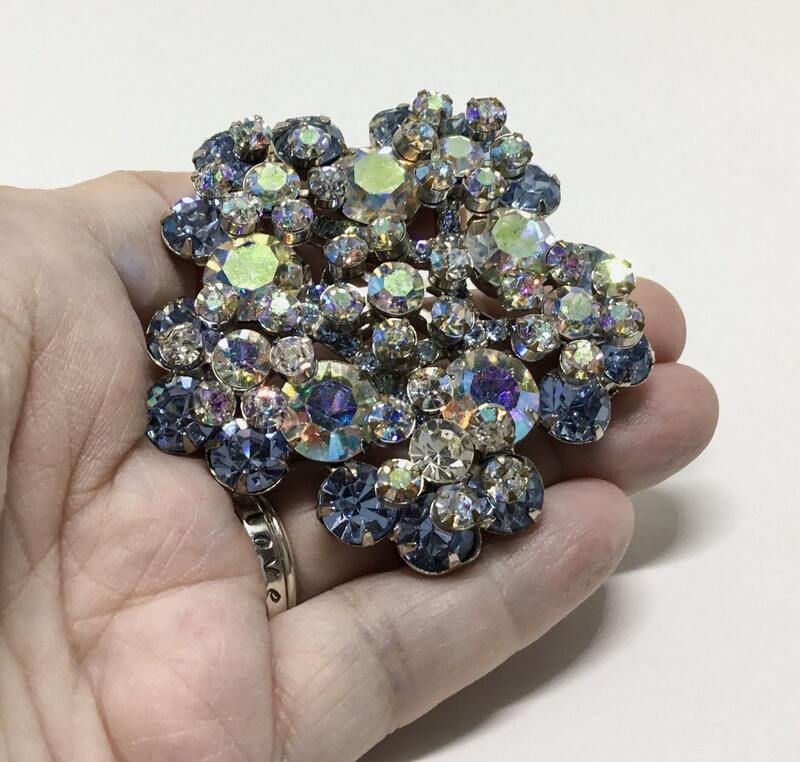 From the front of the brooch all you see is rhinestones and no metal - in this complex design the rhinestones are the star. The silvertone metal setting has a rivet pinwheel construction on the back. 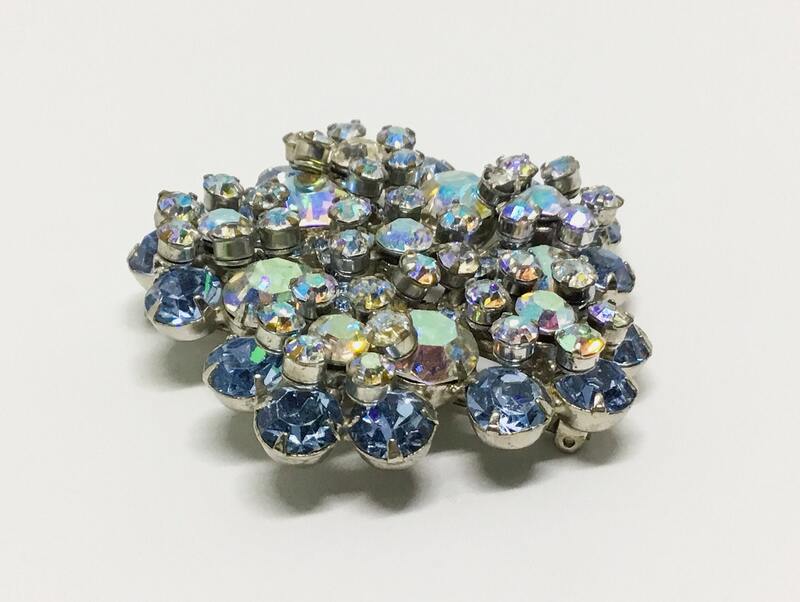 The brooch measures 2 1/4” in diameter and the pinback is straight and works smoothly and securely. It is verified Juliana in Ann Pittmans book “Juliana Jewelry Reference” page 198. You will look gorgeous and stunning wearing this dazzling Juliana rhinestone brooch. Your friends and others will go “WOW” and lean in for a closer look!